Situated in a rural location, this spa hotel is 4.7 mi (7.5 km) from Unicorn Cave Prehistoric Burial Site and within 12 mi (20 km) of Wurmberg Gondola and Walkenried Abbey. Wurmberg and South Harz Nature Park are also within 16 mi (25 km). 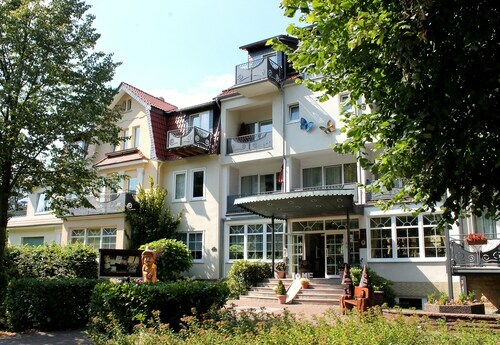 Situated near the boardwalk, this spa hotel is 3.8 mi (6.1 km) from Unicorn Cave Prehistoric Burial Site and within 12 mi (20 km) of Walkenried Abbey and Wurmberg Gondola. Osterode Old Castle and Old Town Hall are also within 16 mi (25 km). This family-friendly Bad Lauterberg hotel is located on a river, 4.3 mi (6.9 km) from Unicorn Cave Prehistoric Burial Site, and within 12 mi (20 km) of Wurmberg Gondola and Walkenried Abbey. Wurmberg and South Harz Nature Park are also within 16 mi (25 km). Located in the heart of Bad Lauterberg, this spa hotel is 4.3 mi (6.9 km) from Unicorn Cave Prehistoric Burial Site and within 12 mi (20 km) of Walkenried Abbey and Wurmberg Gondola. Wurmberg and South Harz Nature Park are also within 16 mi (25 km). How Much is a Hotel Room in Bad Lauterberg? Hotels in Bad Lauterberg start at $73 per night. Prices and availability subject to change. Additional terms may apply. For wanderers who are planning to experience the heart of Bad Lauterberg, Travelocity lists a small number of accommodation options that are sure to please. You will find 5 accommodations around the town that will satisfy your needs. Bad Lauterberg's downtown precinct is a short stroll from conveniently located places to stay including Hotel Riemann and Kneipp-Bund-Hotel Heikenberg. The Landhaus Zu den Rothen Forellen is about 20 miles (33 kilometers) from central Bad Lauterberg. 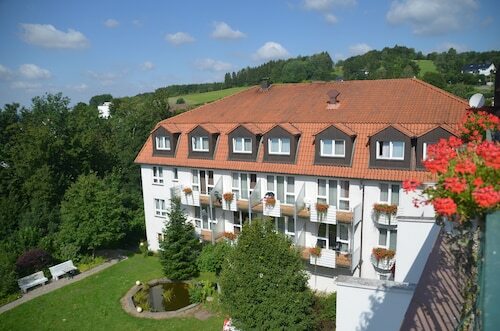 Another alternative is the Maritim Berghotel Braunlage, which can be found approximately 11 miles (18 kilometers) away. 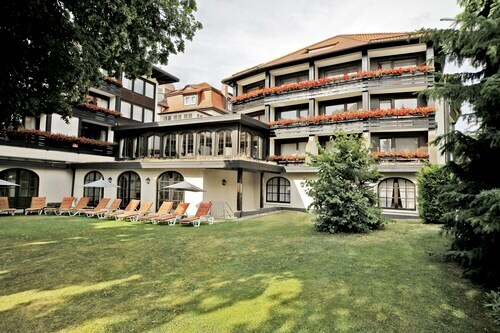 You could also choose to make a booking at the Kurpark-Hotel Im Ilsetal or the Hotel & Restaurant Zum Röddenberg. After you've got to know Bad Lauterberg, you could venture out to explore the many activities of the Saxony-Anhalt area. Saxony-Anhalt is well known for forests, rivers and streams, and interesting tourist sites are castles and old towns. Visitors and locals alike in this region of Germany will enjoy snowboarding and skiing. Goslar is 20 miles (33 kilometers) north of Bad Lauterberg and features Goslar Imperial Palace and Mines of Rammelsberg. Some of our recommended Goslar places to base yourself include the Altstadt Hotel Gosequell and RAMADA Hotel Baeren Goslar. Or stay in Sorge, 12 miles (19 kilometers) northeast of Bad Lauterberg, where you can pick from the Hotel Tannenpark and Landhausferienwohnungen Am Brockenblick. The Grenzlandschaft and Museum Sorge and Ring der Erinnerung are some of the more frequented points of interest to check out when you're in Sorge. Before saying your farewells to Harz, be sure you watch a thrilling match. Stop by HDI Arena, to the northwest of Bad Lauterberg. Book a Travelocity-listed hotel near the sporting action at the Cityhotel Königsstraße or the Sheraton Hanover Pelikan Hotel. For those travelers planning on arriving or departing via Erfurt Airport, you may like to book a Travelocity-listed room at Airport Hotel Erfurt, or Hotel & Restaurant Park-Cafe ISA, each of which are conveniently close.